For the wild vision of smartphones, each leading brand wants to define the meaning of future, and the unknown X hides infinite possibilities. iPhone X is presented with the "10th Anniversary" gift, as well as Find X and vivo NEX bring the "paranoid" industrial design. 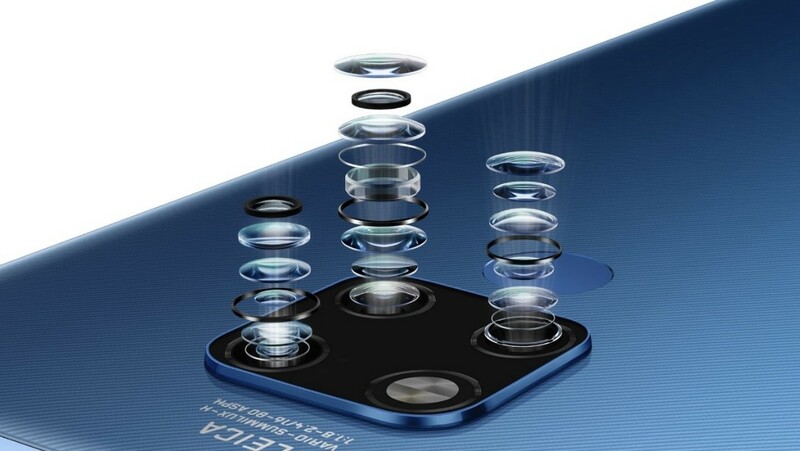 The larger screen brings a wider vision, not only the visual impact of reading, video and games, but also the expand the internal space of the phone, carrying large-capacity batteries, multi-camera modules, and also creating better cooling conditions. 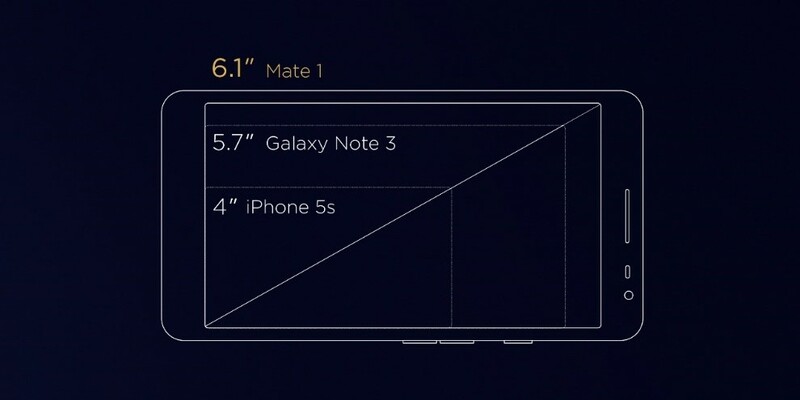 Mate 1 achieves a three-step jump from 4 inches, 5 inches to 6.1 inches, and the Mate 20 X directly reaches the ultimate size of 7.2 inches. This panoramic giant screen enlarges all the elements in proportion and displays the fine content such as PPT and the desktop web. 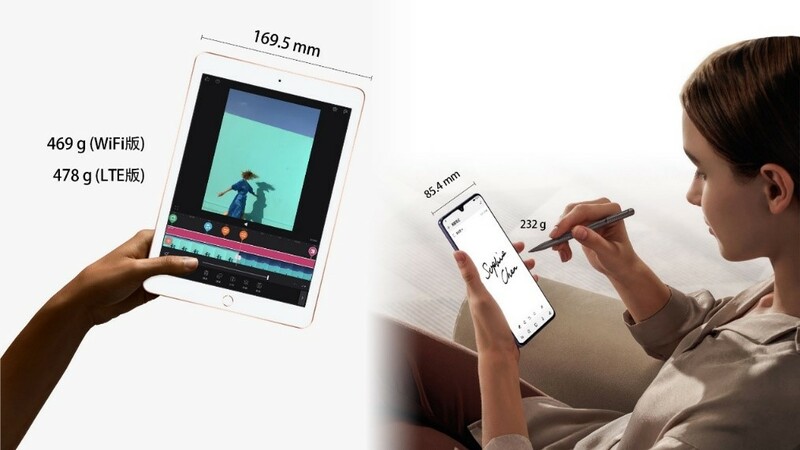 The new addition of the M-Pen stylus accessories, its 4096 high level pressure sensitivity provides a feeling of natural penmanship, let Huawei Mate 20 X turned into a portable drawing sketchpad. 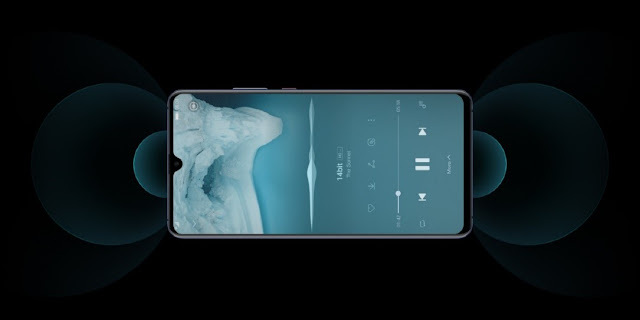 In addition, Huawei Mate 20 X goes one step further in terms of sound quality and interaction. It features a "Real·Stereo" symmetrical dual speaker design. By intelligently optimizing sound effects, the Mate 20 X can present surround sound in game scenes, brings an immersive sound experience. In terms of battery life, the big battery is king. 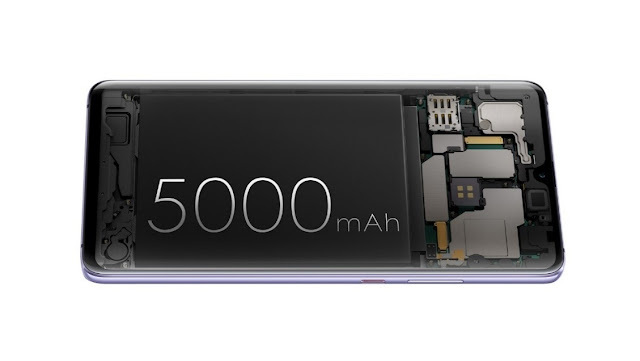 Thanks to the internal space gain of the large platform, the Huawei Mate 20 X is equipped with an amazing 5000mAh battery, supports Super-Fast Charge (4.5V/5A), and breaks the Mate series battery life record. 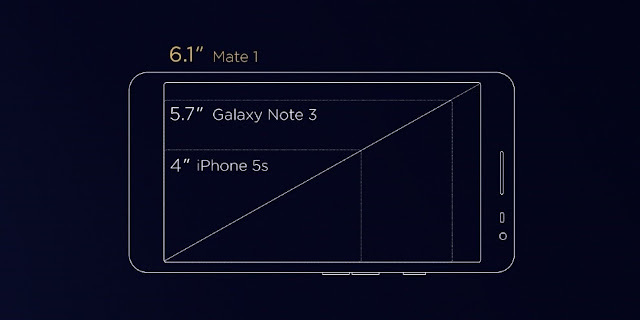 Official measured data shows that when Huawei Mate 20 X is playing Arena of Valor, the battery life can last for 6.67 hours, 3 hours more than iPhone Xs Max; video playback lasts 23 hours, 9 hours more than iPhone Xs Max. 4) Equivalent to 270mm (10x digital zoom). Huawei Mate 20 X newly added an ultra-wide-angle lens is equivalent to a 16mm focal length SLR lens, which achieves a full-tension image visual effect, presenting a three-dimensional and spatial sense of the work. It can focus the nearest 2.5 cm focusing distance, which has become a tool for exploring the micro world and bringing creative macro effects. 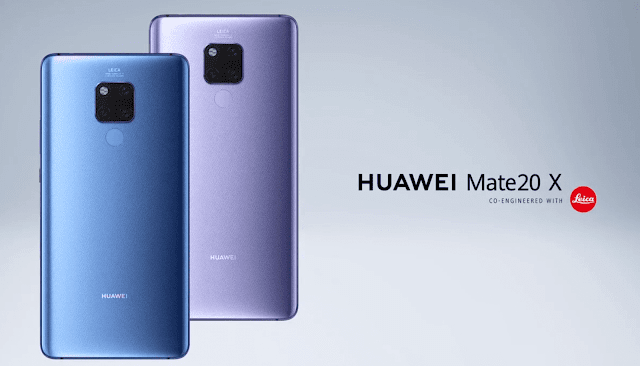 Huawei Mate 20 X is the flagship device, but also a mobile-game device, triple camera with macro shots, portable sketchpad and portable speaker. It is designed to meet the needs of Mate users for more youthful and rich life with ultimate battery life, extreme computing and gaming performance, extreme cooling system, ultimate audio and video enjoyment, and top-of-the-line camera modules. 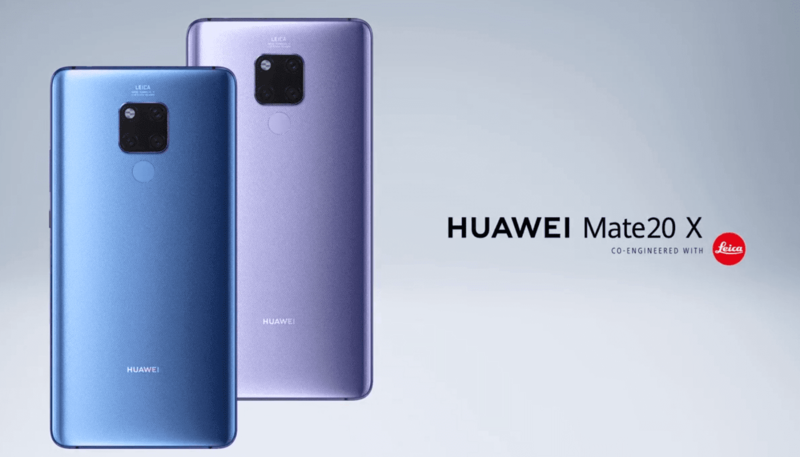 For more information on the brand new HUAWEI Mate 20 Series and other innovative products by the global tech giant, please visit https://consumer.huawei.com/my/ or follow HUAWEI Official Facebook Page.